>> Make a big arae (50x40). >> The players are divided into 3 equal teams. 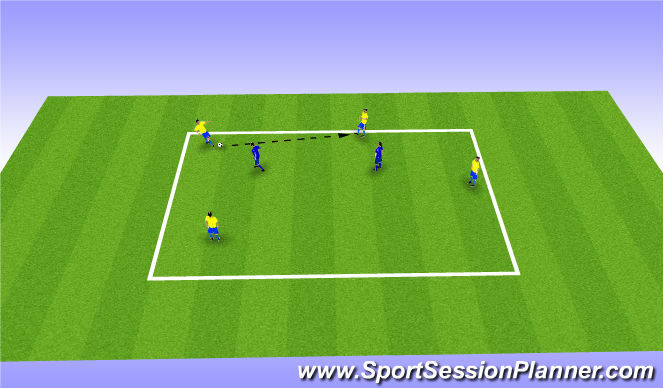 2 of the teams play together while in possession, while the 3rd team try to win the ball back (12v6). >> When the possession turns over, the team that lost possession becomes the defending team, while the other 2 teams now work together in possession. >> Quality in possession >> Decision making. >> Movement off the ball >> Making pitvh as big as possible. >> Reaction to losing possession. >> Pressing as a unit >> Making pitch compact. 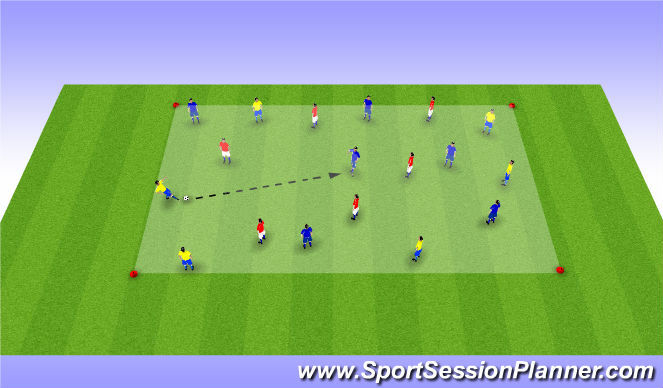 >> When and where to press >> Reaction to winning possession. DYNAMIC STRECHINGS SUPPLENESS, AND CORE STATBILITY EXERCISES DURING THE BREAK !!!!!! >> Fast feet straight ahead activity and lateral movements. >> 5 attackers inside the grid. >> Changes in the direction and speed of play. >> Appropriate use of 1st touch. >> Appropriate us of short or long passes. >> Good passes to feet. >> Good first touch towards space. >> Good decision making (make play easy). >> Speed of play/ decisions. 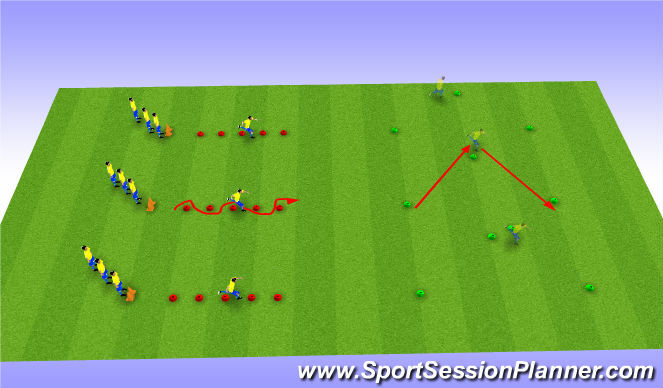 >> 3-2-1 or 3-1-2 formation focusing team shape. >> Focus on positional awareness. >> Movement off the ball. >> Switching play if neccessary.